For the past seven years, Resource has assisted Shepherd Center by designing all identity materials for their annual Derby Day fundraiser. This year, the event is being held in-town at the Chastain Horse Park – a perfect location for food, fun and fast horses! Come out and support a wonderful Atlanta institution. 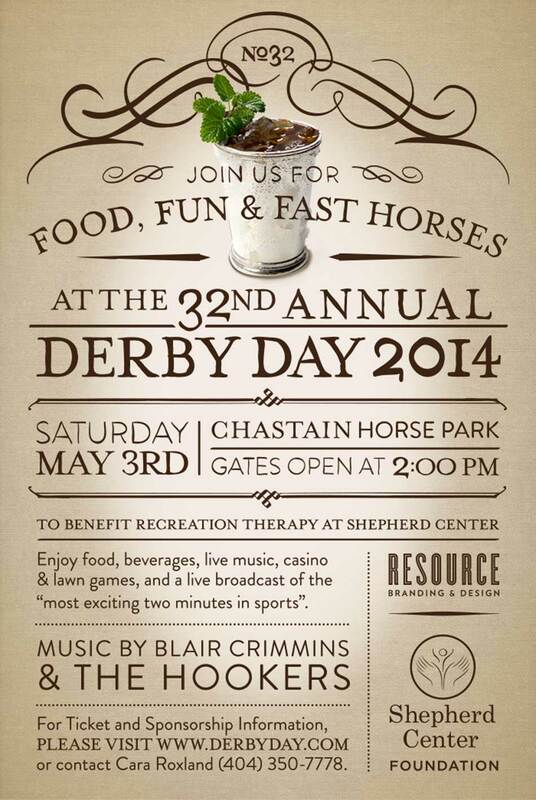 Visit www.derbyday.com for more information.